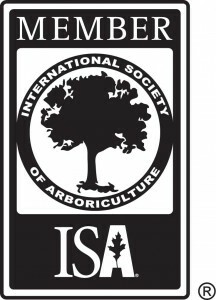 I currently offer spraying of small trees for two common problems in the area – Fungicide spraying for Cherry Leaf Spot and Horticultural Oil spraying for Maple Gloomy Scale – both are offered timed for best effectiveness, usually late February through early April depending on the variety of tree and weather for the year. 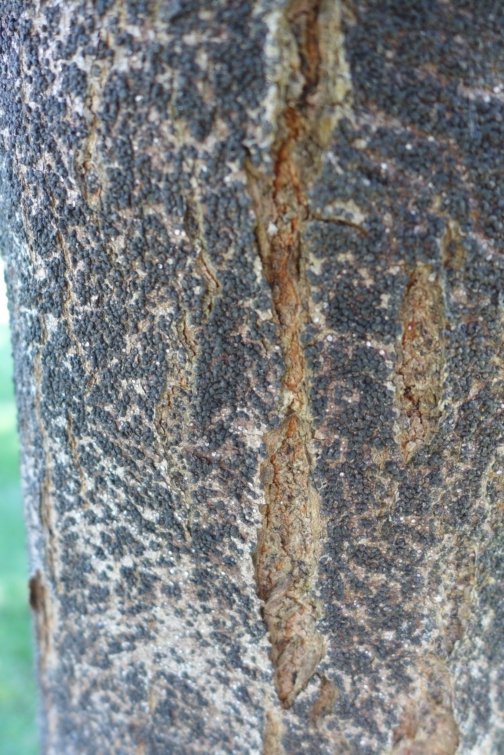 Cherry Leaf Spot is a problem most people notice when they see that their ornamental Cherry trees have completely lost their foliage by mid-to-late summer. With a few fallen leaves on hand, the problem can be diagnosed before planning treatment. It’s critical that spraying alone is not used for Cherry Leaf Spot, but that all fallen leaves are removed from the site each year as the fungus overwinters on the leaf litter. The fungicide I use prevents infection – it doesn’t kill the fungus. So timing is critical, but long-term resistance issues are considerably reduced. 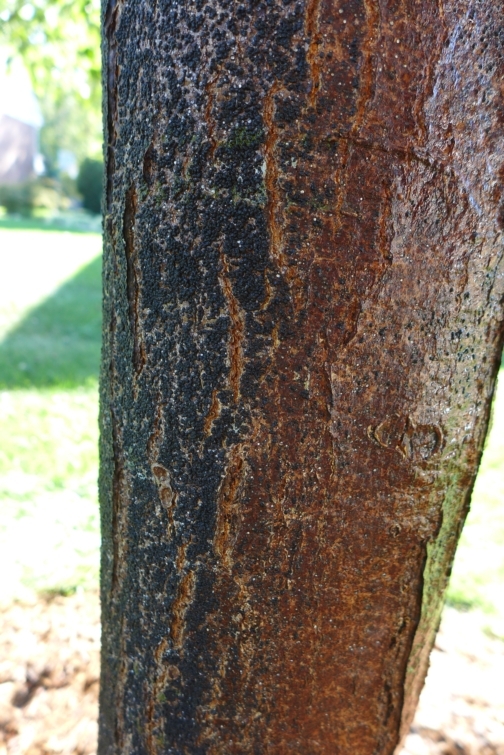 Maple Gloomy Scale is a problem most people notice when they see that their Maple isn’t putting out leaves like it used to or that the tree’s bark has turned nearly black from the normal gray. The scale can be smothered fairly effectively with a Horticultural Oil as the scales release the next generation in late winter or early spring. 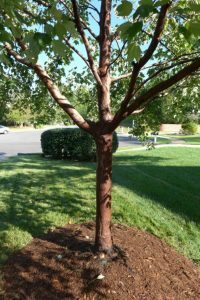 Maple trees do best in a cooler, moist environment while Gloomy Scale reproduces rapidly in the hot environments where Maples are commonly planted now – street side, next to driveways and sidewalks, and in parking lots. 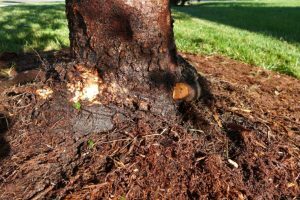 Supplemental watering and removal of hard surfaces goes a long way to controlling this problem. 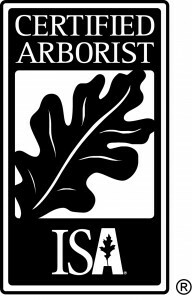 I do not currently offer any additional chemical pest control services and do not plan to offer anything requiring the use of restricted-use (RU) chemicals or tree injections. Late last year a man contacted me through the website with pictures of a maple tree in his front yard. 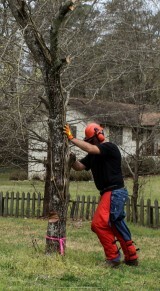 The problems weren’t obvious looking at the pictures, but the man indicated the tree didn’t look right. 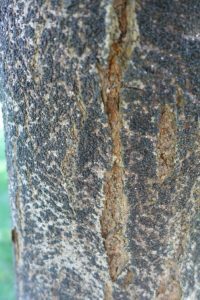 In person, it became clear that the tree had a poor form given relatively good conditions as far as room and light in the nearby area. The tree had a large branch coming out across the driveway that was growing more quickly than the main trunk. 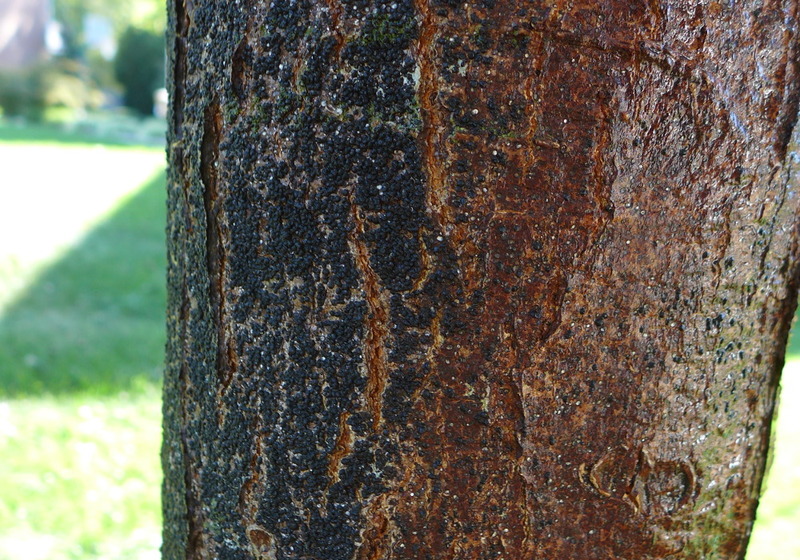 This tree would develop into an ugly, lopsided tree with time. Looking closely at the root flare, where the trunk meets the ground, I found a girdling root that if not causing problems then, would soon cause problems for a tree that didn’t need any more of them. The root wasn’t too large compared to the trunk, so I decided it was best to cut it away. 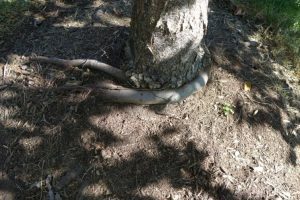 One other observation stood out during the close inspection – the trunk of the maple was nearly black. 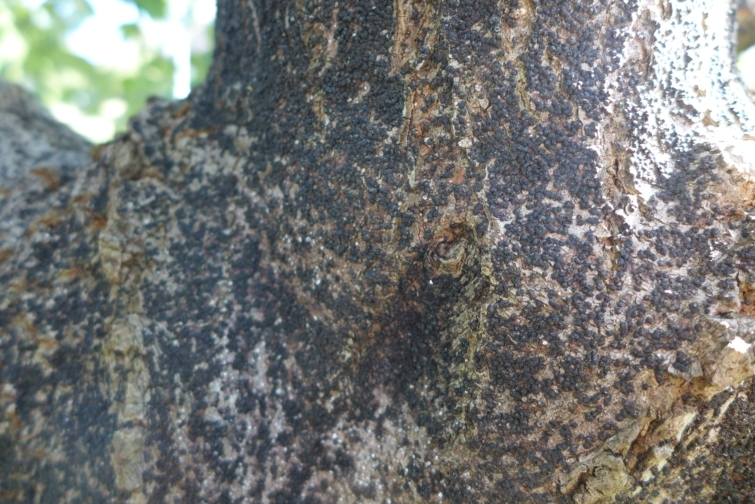 Black because nearly the entire maple was covered densely in Gloomy Scale, Melanaspis tenebricosa. 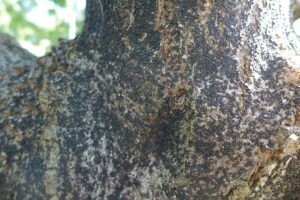 Gloomy scale is a sucking, armored insect that takes nutrients from the tree. 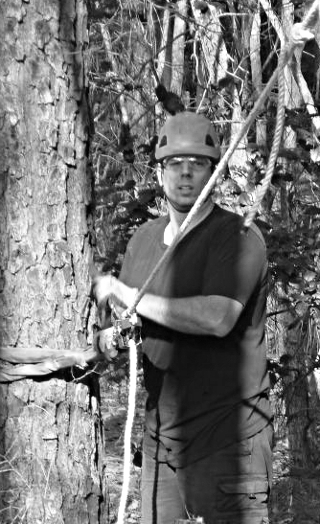 With this much on the tree, it was no suprise to see the sparse canopy. 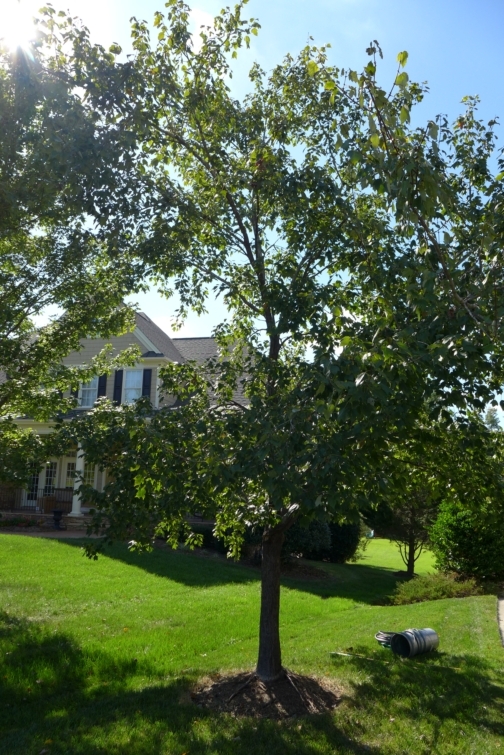 After some research, I decided on a plan of removing as many scale as possible on the lower portion of the maple, treating with a horticultural oil in the late winter on the thinner upper canopy, and giving the maple the best possible growing conditions by extending out the mulch circle to reduce competition with the lawn.